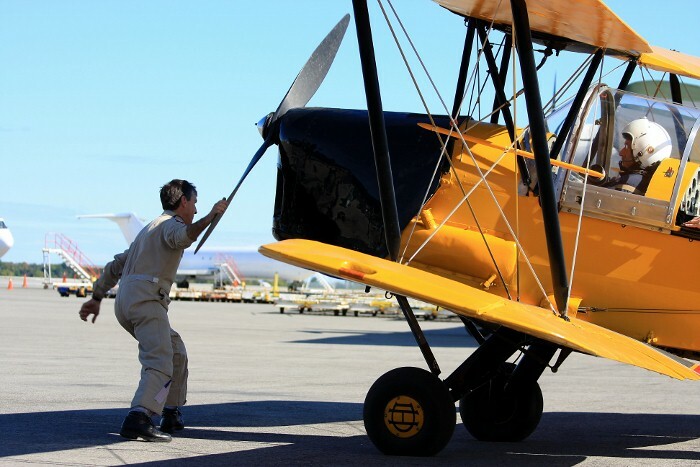 The Museum&apos;s Tiger Moth under restoration painted in incorrect markings of #724. This was corrected before restoration was completed. 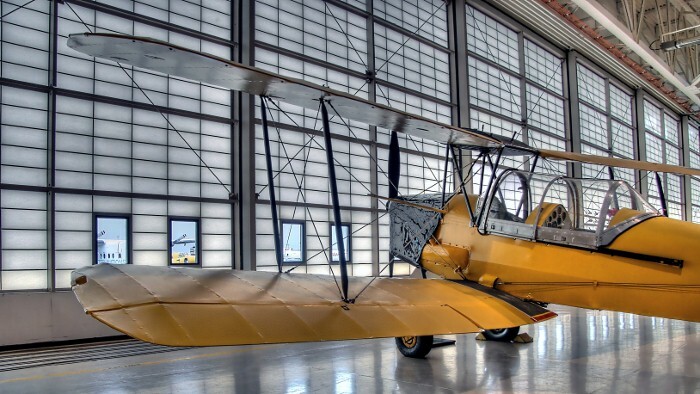 After a lengthy restoration, the Museum&apos;s Tiger Moth was finally test flown in early 1980. 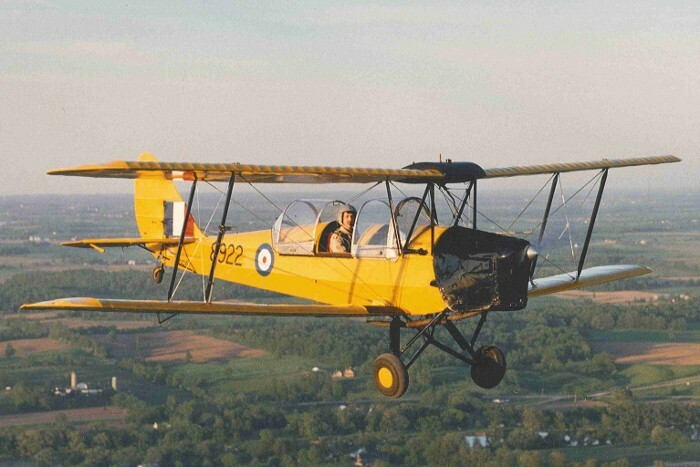 Doing the honour was the previous owner and de Havilland Canada test pilot George Neal. 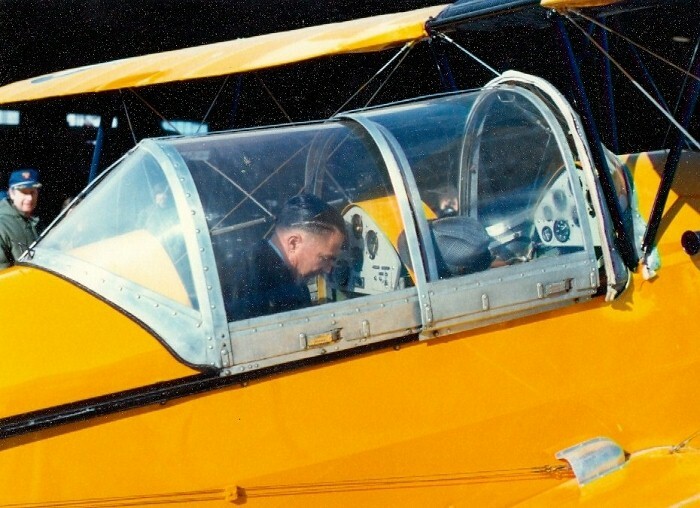 George got into the rear cockpit, took off his hat and placed it in between the front and rear cockpit, where it remained for the entire flight. Afterwards, he recommended some rigging changes to improve the flying characteristics. 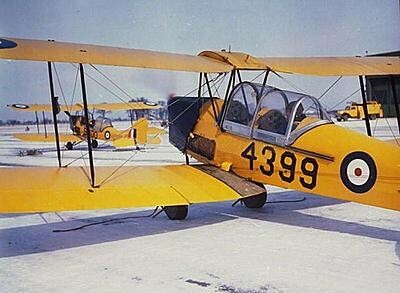 A rare colour photo of RCAF Tiger Moths operating in the winter. 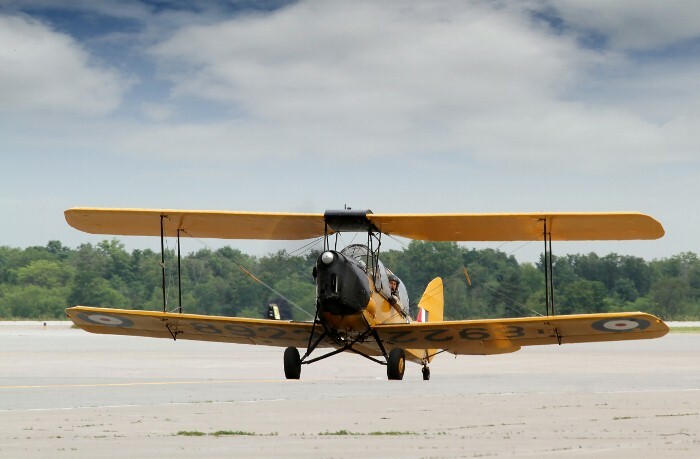 The Museum's Tiger Moth was built at Downsview, Ontario in 1942. It saw service with No. 12 EFTS, Goderich, Ontario and No. 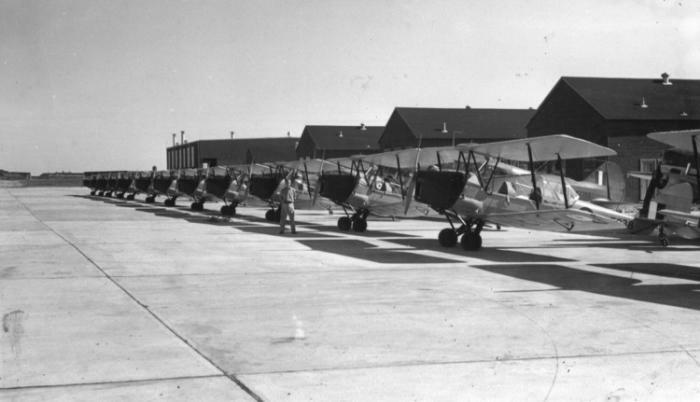 4 EFTS, Windsor Mills, Quebec until 1945, when it was sold to the Royal Canadian Air Force Association. 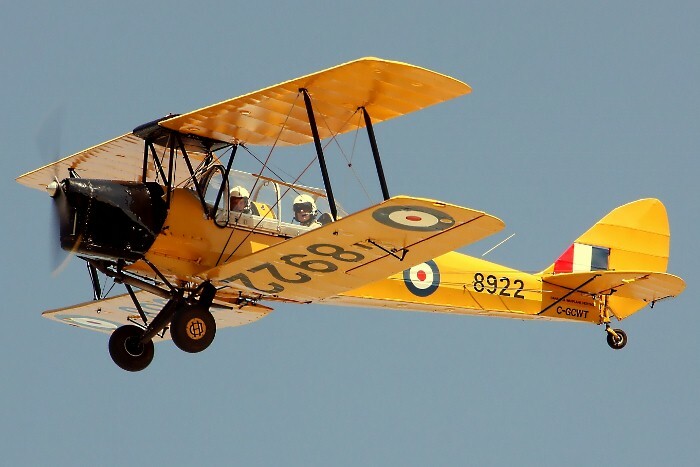 The Tiger Moth was then stored for over 25 years. 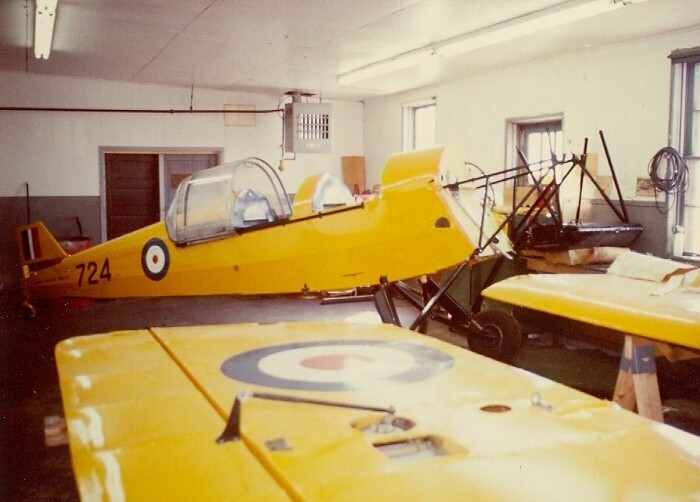 The Museum acquired the aircraft through George Neal, then a de Havilland Canada test pilot. 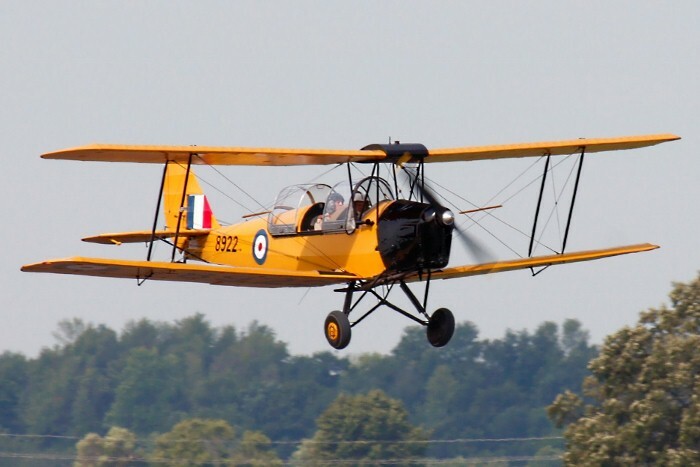 The Tiger Moth was donated to the Museum by John Weir in 1973. 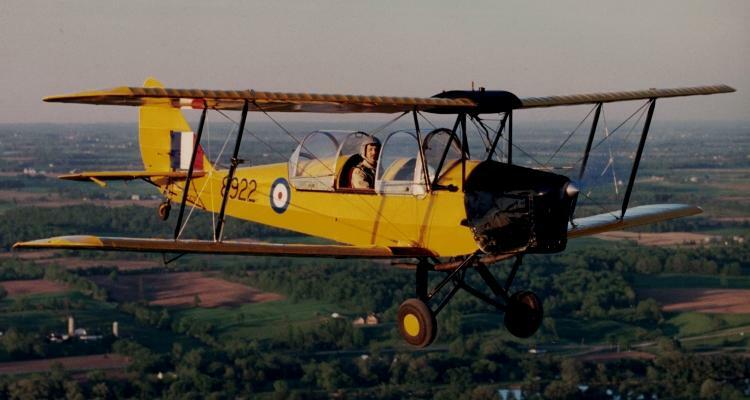 A five year restoration program followed and late in 1977 the Tiger Moth returned to the skies.